Imagine spending the perfect 7 days with warm Mediterranean weather on a vintage motor-sailing ship full of like-minded persons under 35. 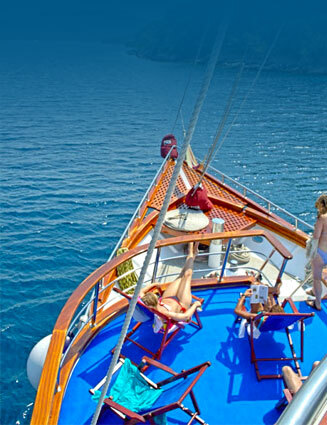 With an on board chef and a full bar be prepared to cruise the magnificent Adriatic coast. Relax during the day and experience the hot night scenes in hot destinations around Croatia. Discover why the Adriatic party cruise has become “a must” for the young traveler. If you are looking to get into shape while cruising the Adriatic, and don't mind interacting with other age groups then try our Slim, Fit and Vital cruise (4 or 5 days) that will blend in perfectly with your holiday. The most active traveler will enjoy the numerous walking tours, rafting, hiking excursions, and adventure cruises by bicycle. Join us while we take you on a journey exploring the Adriatic coast in a young and fun way!